When you’ve got kids teens in sports, there are moments when your child makes a really good play and you feel nothing but pride. And there are those moments – when the hot-head on the field is yours and you want to crawl under the bleachers from shame and embarrassment. With four teens in various sports, we’ve experienced this scene more than once. How do you handle the situation so it becomes a positive learning experience rather than a big, huge mess? 1. Get control of your emotions first. Reacting out of embarrassment or anger can damage relationships with your child or others if not handled properly. Take a deep breath, assess the situation, and talk yourself into responding calmly to your child or coach after the game is over. 2. Try to understand where your child’s lack of self-control, anger, or attitude is coming from. Is it part of their character you’re already working on? Is it coming from conflict with teammates or the coach? Is their behavior directed towards themselves? Are they discouraged with their performance? Do they need to be encouraged in correction rather than chastised? Are there other stressors in their life affecting them when they’re under pressure (grades, other relationships, self-esteem, etc.)? 3. Talk to your athlete about the source of their anger or frustration. Help them put words to their emotions by asking some of the questions above. Teens and preteens often respond in anger when underlying emotions are frustration, stress, anxiety, discouragement or unfairness. Once the root cause of their behavior is identified, work with them to develop healthy ways to respond to the problem.3. you accept and support natural consequences if your player is disciplined or benched for a game. 5. If behavior is repeated, discipline at home might by necessary. Take away a privilege, like their phone or car, that impacts their personal life so they understand public behavior is important. 6. Get over it and move on. Although the incident is embarrassing and can be a big deal in the moment, your child needs to know there is always another game or practice to correct their behavior. They need to receive your forgiveness, have an opportunity to do better, and know you still believe in them. 7. Accept the fact that your child can act that way. Our kids aren’t perfect and they will mess up. I’ve watched a lot of sports in my career as teacher, coach, and parent. As your child corrects their behavior and moves on, coaches and fans will see the best in them and what they bring to the field or court. More importantly, your child learns lessons about responsibility, self-control, relationships and life. What are ways your child has been helped by adversity in a sport or school activity? 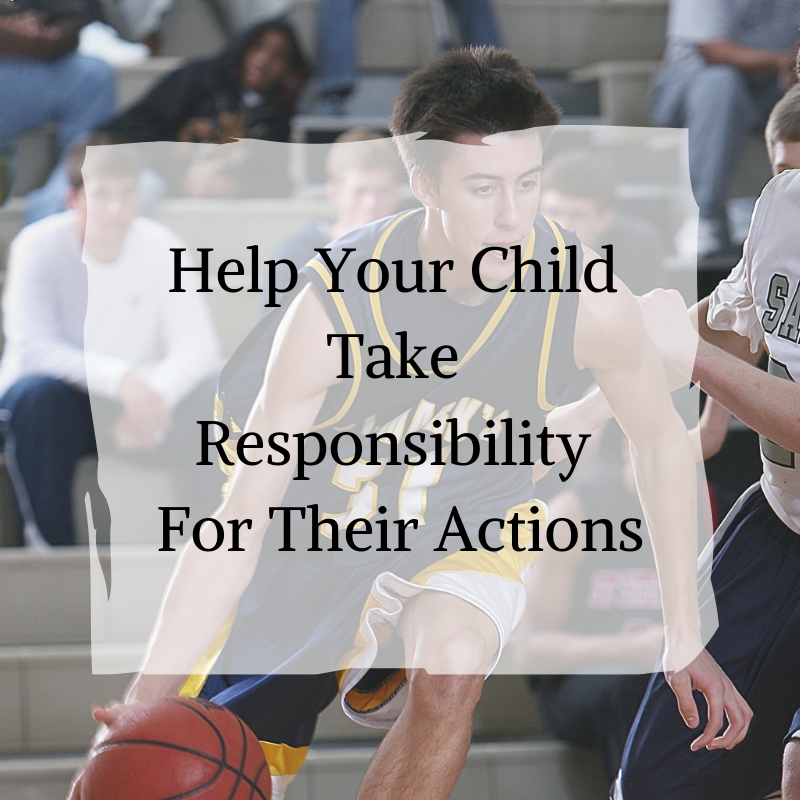 What lessons have your kids learned because they’ve been responsible for their and actions? We’d love to hear your experiences.